Traditional perpetual shields supplied complete with struts and individual presentation boxes. 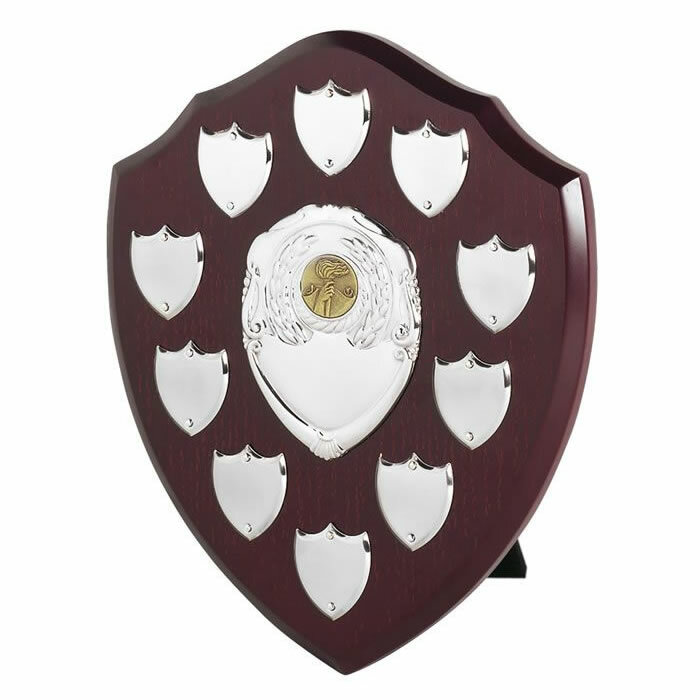 These classic dark wood awards shields have protective veneer finish and are suitable for engraving on the centre plaque (body). This 10in version features 10 side shields that are perfect for adding monthly, quarterly or annual winner details. Wednesday, 8 November 2017 | Mrs.
Good quality shield with good engraving. I wasn't sure what the centre medal meant but the company was very helpful and I'm glad we got a tennis medal there. Overall very happy with this product.